Some people are destined to be storytellers. You can tell when you read their debut novel that no matter where life took them, eventually those words were going to make their way to the page for the betterment of us all. 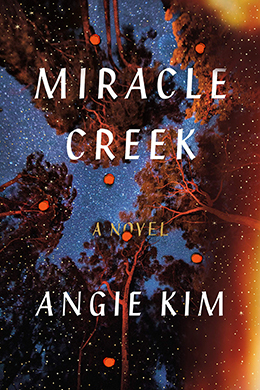 Angie Kim and the glorious Miracle Creek are a fine example of this phenomenon. Miracle Creek is a literary novel that will appeal to readers of crime fiction. 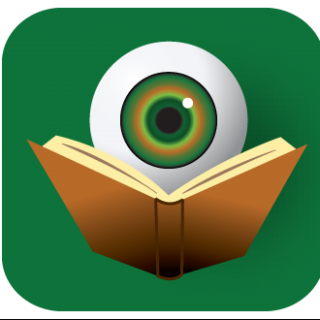 Because of the various avenues of exploration contained within, marketing is placing this book in the general fiction category, but the thrilling courtroom scenes that form the backbone of the narrative will more than satisfy readers of legal thrillers and traditional mysteries alike. Simply put, Miracle Creek is so expansive that it literally features something for every type of reader. A bare bones plot summary would look something like this: an explosion at a facility where patients are being treated for a myriad of medical conditions through the use of hyperbaric oxygen therapy (HBOT) could have been a tragic accident or a case of intentional sabotage, but regardless of which, the lives of everyone involved will be irrevocably altered. There are seven point-of-view characters in Miracle Creek. Each person tells the story of that fateful day from his or her own vantage point. Just as in real life, no two people experience the same events in the same way. Readers are left to connect the various pieces into one cohesive timeline – much the way a image eventually emerges from the careful placement of an artist’s mosaic tiles. These are not characters in a book – well, technically, they are – but Angie Kim breathes so much life into each of them that readers will feel as if these people live next door. As each of them recounts their story, their history, it is impossible not to forge some connection. At various times, readers will experience empathy, sympathy, anger, and frustration; feeling everything from a symbiotic relationship to outright denial – perhaps too adamantly – of understanding. Angie Kim structures her novel in such a way as to delay the major courtroom revelations, but never makes that feel like the true importance of the novel. Readers will become so invested in these characters and their unique lives that following them on their path becomes the central driving force of the narrative – which is part of the reason the emotional toll the book takes is so impactful. When the “miracle submarine” explodes in the prologue, killing several and injuring others, it sets into motion a poignant journey that cuts to the core of our humanity. This is a story about immigrants (the HBOT facility is owned by a Korean immigrant family), about the stresses of long-term care-giving, about parenting, about marriage, about dreams, and about life. Miracle Creek is a story about “us” in the most universal sense of that word. As the courtroom drama unfolds, readers should not expect earth-shattering twists, but rather a quiet exploration of how simple choices can have catastrophic consequences and how decisions made in the moment always come with lasting ramifications. Ultimately, it is the labyrinths of the heart one truly longs to follow, explore, and hopefully understand. Miracle Creek is a novel that is deeply felt, forever lodging itself within the soul and wringing every last ounce of emotion from the reader. As far as debut novels go, Miracle Creek is one to cherish. Consider it the birth of a talented writer readers will be following for years. Angie Kim is the real deal and she is about to amass a loyal fan following.